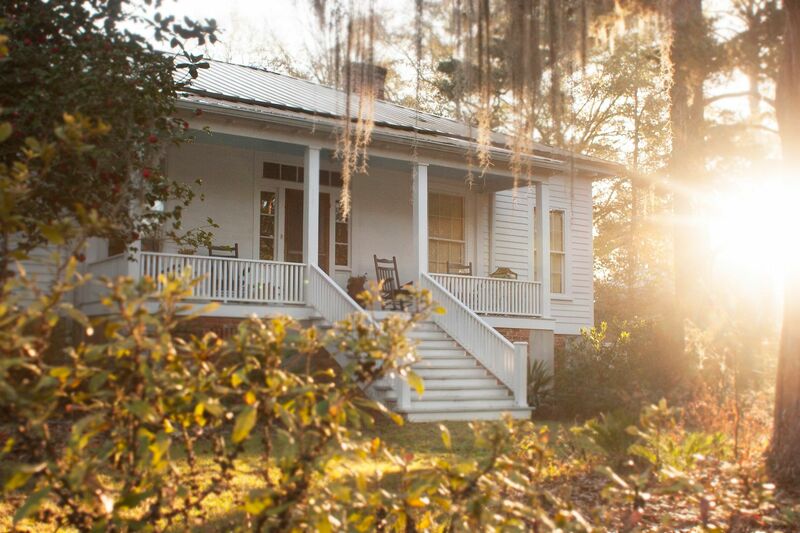 As I’ve mentioned in previous posts, Rob and I live in an old house, built before the Civil War. You can tell it's well aged, that it's been around a long time, by its wavy windows and its smell, inside, like an old trunk—a cedar chest. But nothing drives home how old the place is better than an old picture. I came across some last night and thought I'd share. 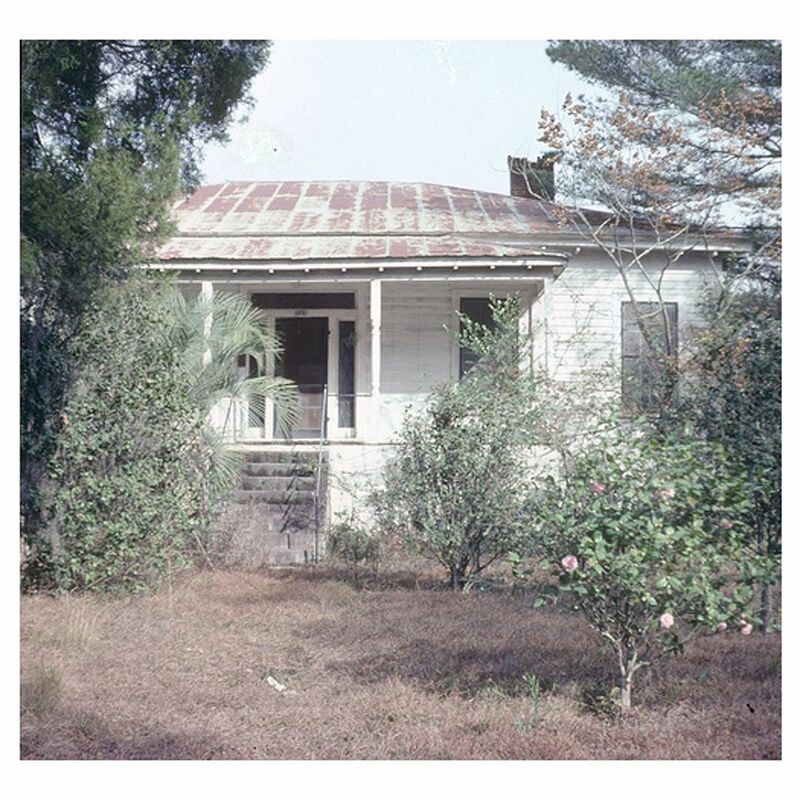 In this post, I'll compare each old image with a current one so you can see how the house has changed over time. But first let me tell you what I know about the history of the house. 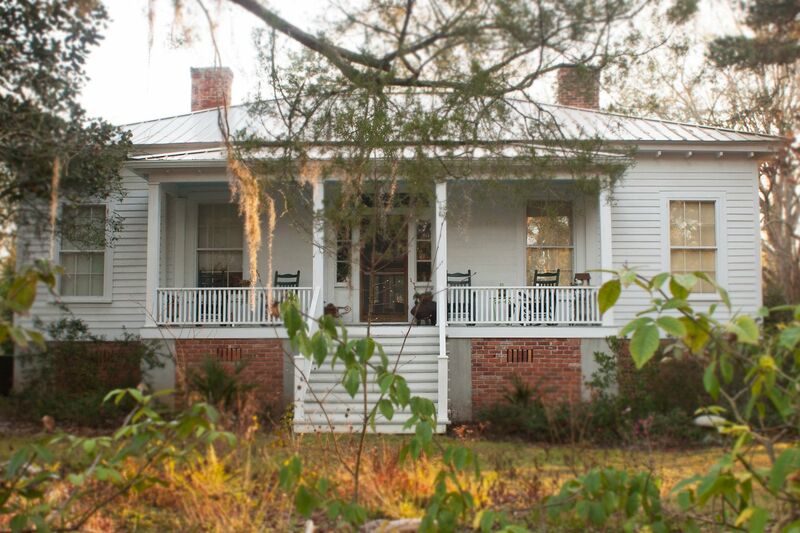 It's not much, just a couple things that may or may not be completely accurate: that it was built by a family named Pittman in 1850, and that after the Pittmans sold it, it became associated with the nearby Fuller's earth mine, that it was used for a while to house the mine's foreman and his family. In the 1960s it languished. It sat abandoned for years . . . until it was rescued by a young couple and carefully renovated. They did all the work themselves, by hand. The “before” pictures were taken 42 years ago by Bill Stinson, half of that intrepid young couple. The pictures document what the house looked like before Mr. Stinson and his wife started fixing it up. Mr. Stinson told me the house was so neglected when he found it that there were vines growing up through the floorboards in the living room. He said the city was about to condemn the place and tear it down. 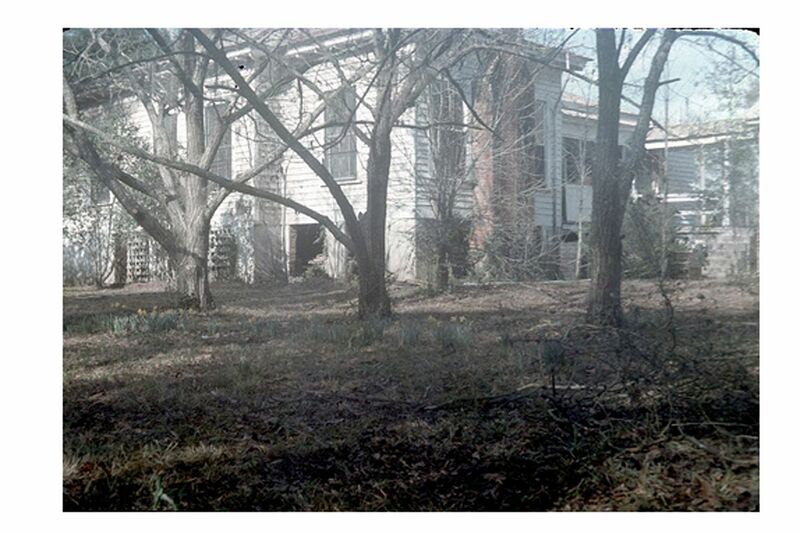 Here’s how the front of the house looked in 1971 and how it looks today. 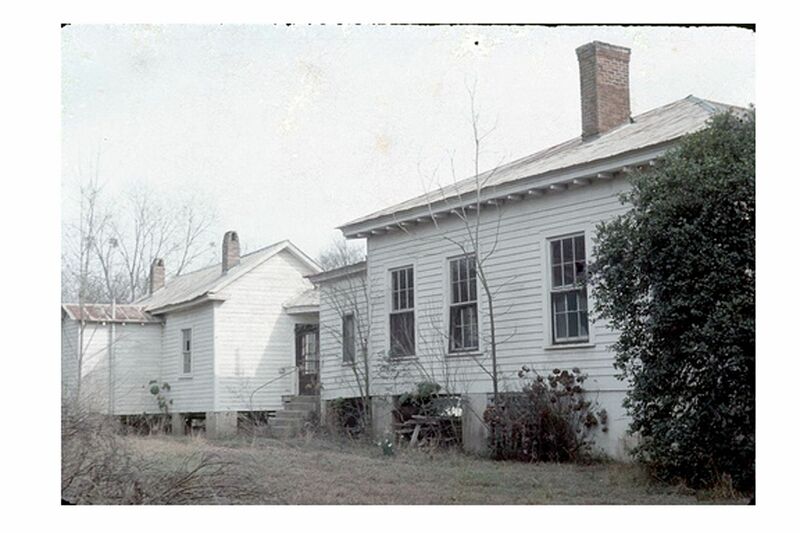 In the first picture below you can see the old tin roof (I love it!) and how wild and tangled the yard used to be. 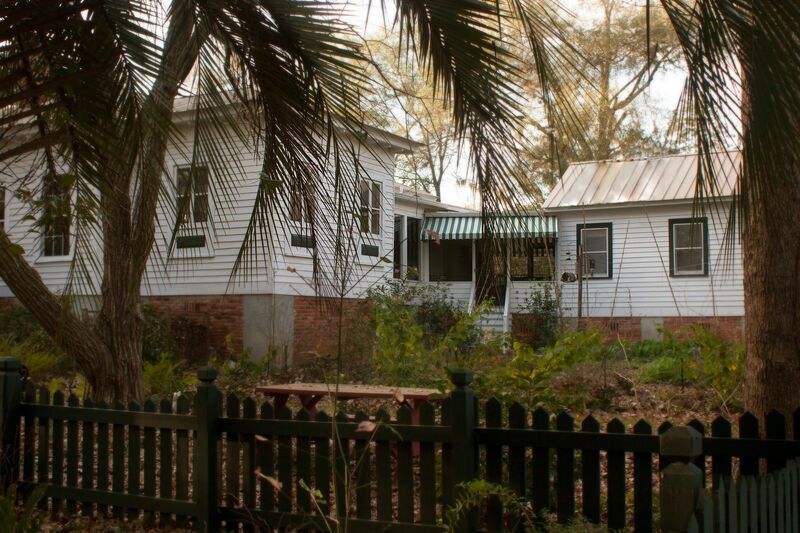 By the time Rob and I moved in, in 2004, the tin roof was gone and so were the camellias and the pindo palm shown here. In fact, the front yard was almost completely bare of plants. I guess the bareness was kind of a good thing, because I got to start with a clean slate and plant whatever I wanted. 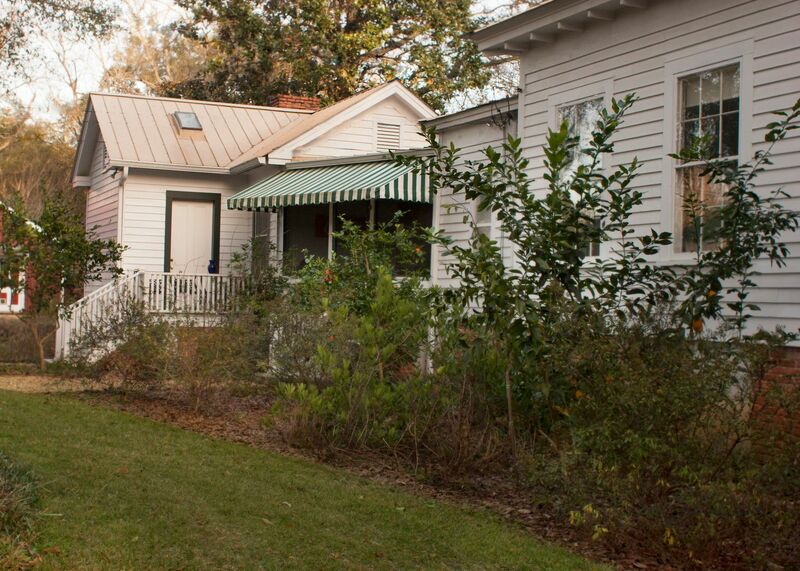 Next up is a view of the north side of the house, including the detached kitchen we now use for an office. As you can see, this side of the main house looks pretty much the same today as it did in 1971, but the old kitchen looks very different. It was remodeled by Mr. Stinson. I honestly love the way the kitchen used to look and I’m not sure why it was changed, though I’m sure there was a good reason. Nowadays this little building is pretty modern and mundane inside, home to our desks and computers, but I wonder what it was like when the Stinsons first discovered it. Was it still set up as a kitchen then? Was there an old cookstove? Was there a fireplace? Were there old pots and pans still sitting around? I imagine it as a dim, shadowy place full of artifacts and treasures. Oh, by the way, I'm sorry my plants look so messy in the second picture in this set. I promise they look better in spring! I don't want to draw too much attention to this picture (the second one) because I'm kind of embarrassed of it, but I do want to point out one thing: the breezeway Rob and I added four years ago between the main house and the old kitchen. In the old days, in the first picture, there was just a simple covered walkway between the two buildings. Here are some pictures of the back of the house, including the “new” kitchen (which was built in the 1910s, I believe) and the enclosed porch that we now call the “sunroom.” This “before” picture is a real heart-breaker for me because, as you probably noticed, there used to be a beautiful brick chimney at the back of new kitchen and it’s not there anymore. The loss really pains me (I bet the kitchen was so cozy with a fireplace in it). But, on a happier note, the daffodils in the “before” shot still bloom for us every spring. 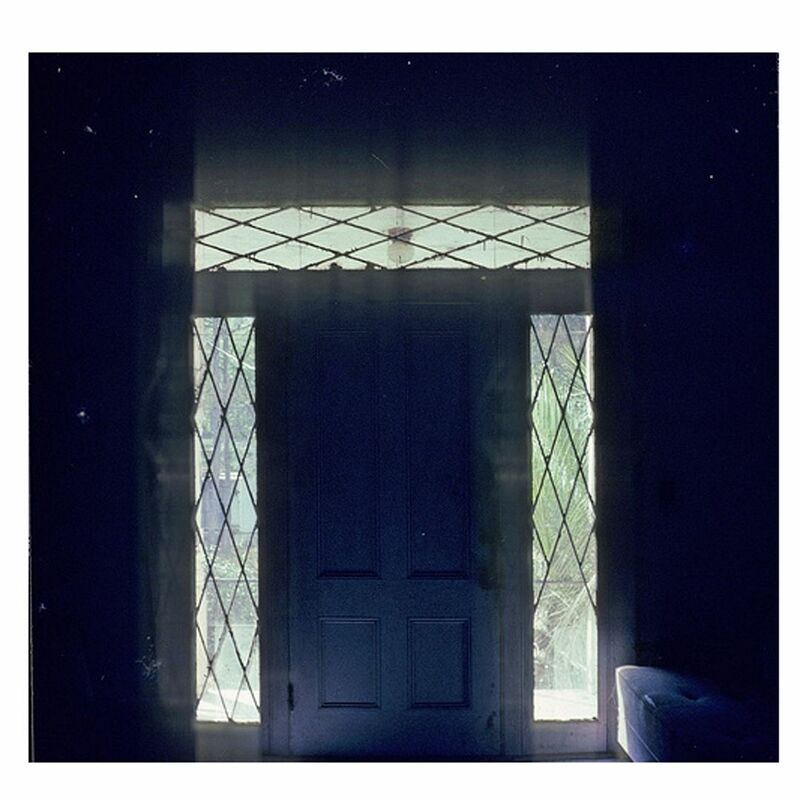 Finally, here’s what the sidelights around the front door used to look like. By the time we moved in, they’d been replaced with modern frosted glass panels etched with nature scenes. The panels kind of reminded me of shower doors (I really wasn’t fond of them). 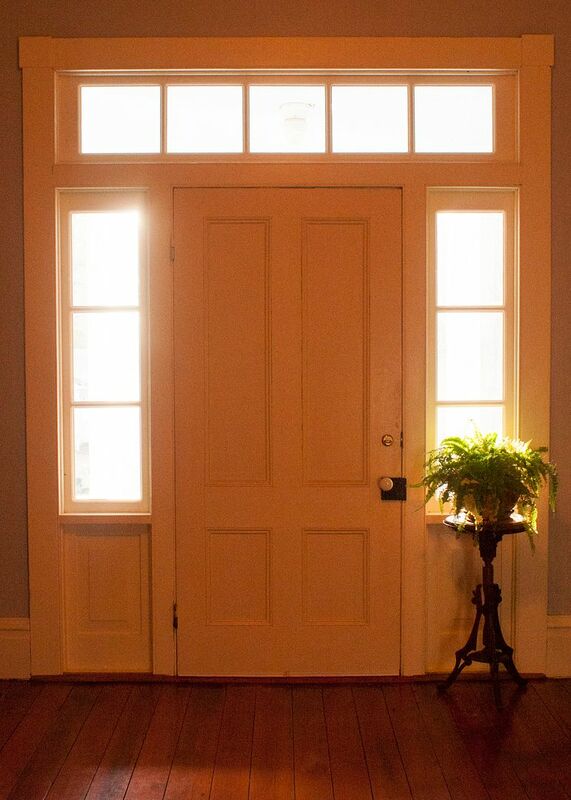 So Rob and I replaced them with sidelights similar to those we’d seen on other old houses around town. I am not the least bit ashamed to admit I am completely 100% envious of your home. The character, charm . . . the history - I'd never want to move from there! Your house looks fantastic! Wonderful that you have those old photos for comparison. You are so blessed to be living in that wonderful house. It seems like it must be very calming and serene to sit and simply enjoy all the you have there. I love looking at historic photographs of homes and farms. Thanks for the pics! Thanks, everybody! You all are the nicest readers. Would the kitchen fireplace to the right of where the sink is now? Hi Kris, yes, the fireplace would be where the sink is. Someday I'd really like to have it put back in! Hi Dorothy, thank you! The house really is fun to work on. It's a hobby for us, definitely!